Hi, my name is florencia.I teach kids from 8 to 17 years old. I m willing to learn lots of things from you. HI! 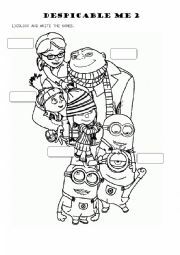 THIS IS MY SECOND WORKSHEET ON THE FILM DESPICABLE ME 2. AS WE ARE REVISING PARTS OF THE BODY, NOT ALL OF THEM, I´VE PREPARED THIS BASED ON THE FILM.HOPE YOU LIKE IT!LOVE,FLOR. Hi everyone. 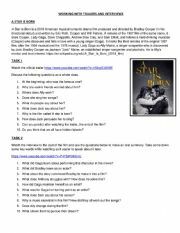 Here I prepared two activities with the movie trailer of A star is born and an interview to Gaga and Bradley Cooper. 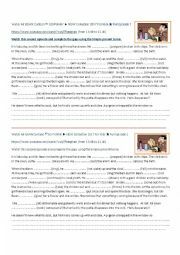 The links are on the worksheet. Hope you like it. 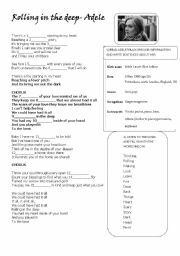 Nice activity for pre-teens and teens.It includes two activities with Simple present, present continuous and simple past.You can also ask your students to surf the web and bring any other information about the singer, Adele-Hope you like it. Hi! 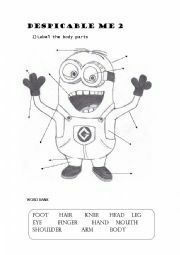 I´d like to share an activity I did with my juniors while watching the film Despicable me 2.In this worksheet,they have to colour, label the characters and describe one of them using HAVE Got, body parts and adjectives.Hope you like it! 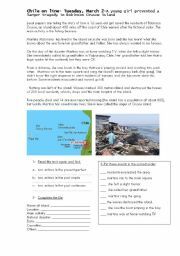 I´m going to upload worksheet 2 in a minute.kind regards to you all. This second episode on the same link that I uploaded before :https://www.youtube.com/watch?v=AjTFbeqlkeU (Dinner for two, from 10.40 to 21.40) is an activity to continue practising the simple present tense. Fill in and finish the story. Enjoy it. 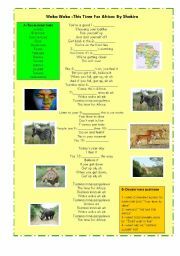 The worksheet is for two students.